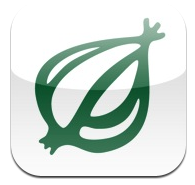 The entertainment newspaper and website The Onion just launched its very own iPad app earlier today. Just like the online and paper versions of the magazine, the app features satirical articles reporting on international, national, and local news. If you’ve never heard about The Onion, the magazine offers a slew of articles related to current events, both real and fictional. Much of its humor depends on presenting everyday events as newsworthy and by playing on commonly used phrases. The new – and free – app is very similar to its iPhone counterpart: it pulls all articles featured on The Onion‘s website, and re-formats them specifically for the tablet. The app isn’t limited to articles only, as it also allows users to view the latest videos featured on The Onion News Network. Videos and articles can be shared via Twitter and Facebook, and articles can even be exported to services such as Instapaper and Pinboard, to be read later. More details about The Onion Tablet available here.